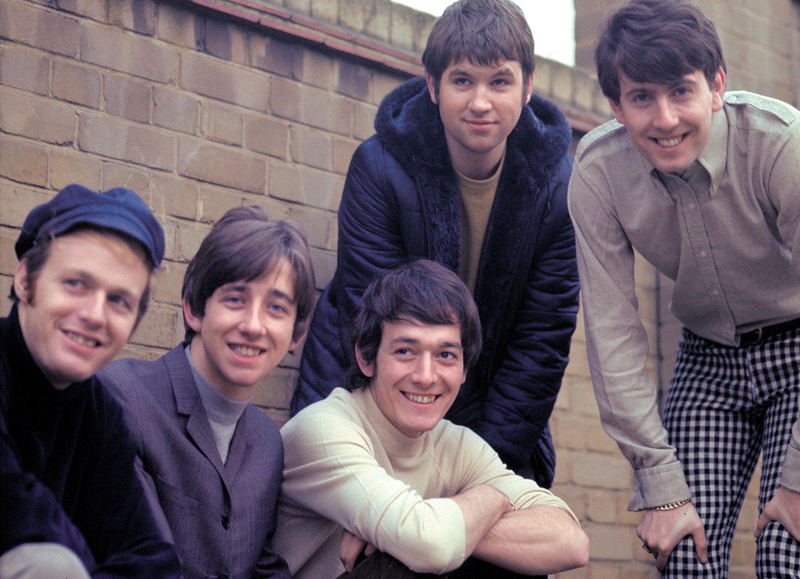 The Hollies formed in Manchester, England in 1962 and found early success the same way as many British acts of that time: covering American hits from a few years earlier. They cut their teeth on songs like Poison Ivy, Searchin’ and Stay, with the same kind of British sound as early Beatles, Rolling Stones and Kinks. But from the beginning they seemed to have an affinity for harmony that set them apart. As they matured out of the cover phase and began recording material written for them as well as their own songs they further developed that three part harmony along with a ringing guitar sound and added some really catchy hooks. At first The Hollies only found moderate success in the US. It wasn’t until 1966’s ‘Look Through Any Window’ that they hit the Top 40 and really caught on. Incidentally, I’m trying to use live clips as much as possible because The Hollies sounded great live. The vocal harmonies and jangly guitars weren’t a studio creation. The Hollies are probably most famous today for someone who left the band: Graham Nash, who left in 1968 after becoming dissatisfied with the groups commercial pop oriented direction. He famously formed one of the first supergroups, Crosby, Stills and Nash and had even greater success outside of The Hollies. The Hollies definitely felt Nash’s loss but they had more than enough talent to carry on with his replacement, Terry Sylvester of The Swinging Blue Jeans. And damned if it doesn’t sound exactly like Radiohead’s ‘Creep’ at the beginning. In fact it’s so similar that Thom Yorke shares songwriting credits on ‘Creep’ with the two writers of ‘The Air That I Breathe’. The Hollies are still touring so go see them if they come through your town!